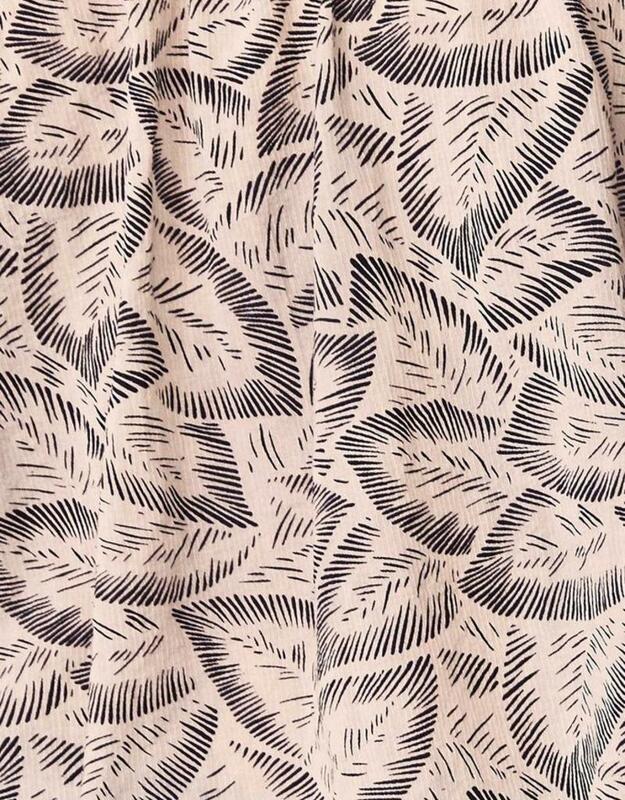 This vintage inspired Moroccan leaf print has a slight twill stripe for texture. Three stitch, hand embroidered detail adds interest. 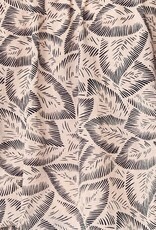 The Clementine skirt is classic yet cool. Mimicking a wrap skirt, a ruffle cascading from the fixed waist wraps around the entire sweep and is finished with mesh lace and embroidery details placed thoughtfully at the edge of the hemline. Elastic waistband allows for ease of wear. Pair it with the Celeste Top for an outfit. Content: 80% cotton, 20% modal.